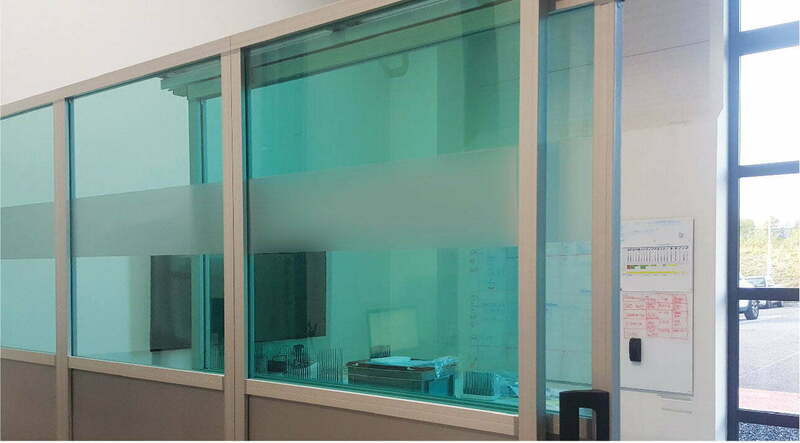 Partitioning is a great way to use our Profile and Framing Systems. It really showcases the flexibility and modular nature of the system. You can use it for laying out factory floors, creating office space, enclosing areas that are prone to contamination etc. Our engineers visit you onsite and measure the area for partitioning. We can design it to integrate into an existing structure or create a new bespoke look on an outdated area. 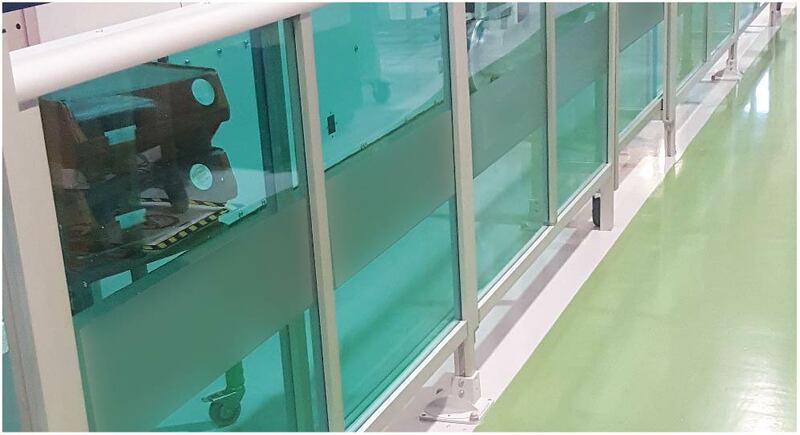 All sections of the partitioning are modular which makes it possible for partitioning to be easily disassembled and reassembled to change the shape or reduce the size of the area e.g. if an access door’s position needed to change; you can easily exchange the access door for a solid panel or vice versa. The structure can also be broken down into equal parts allowing you to move around different sections of the same size easily. And more sections can be added to increase the dimensions of the structure. 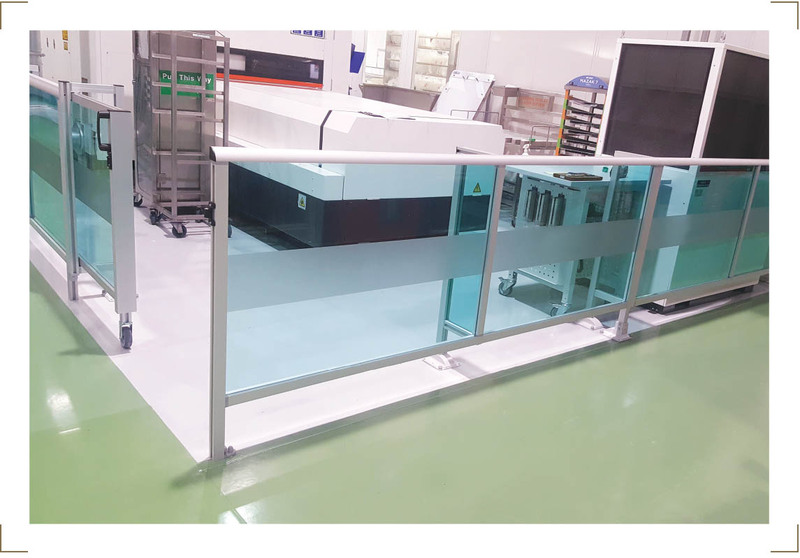 We can use a variety of materials for your partitioning from anti-static and hardwearing to optically clear materials. 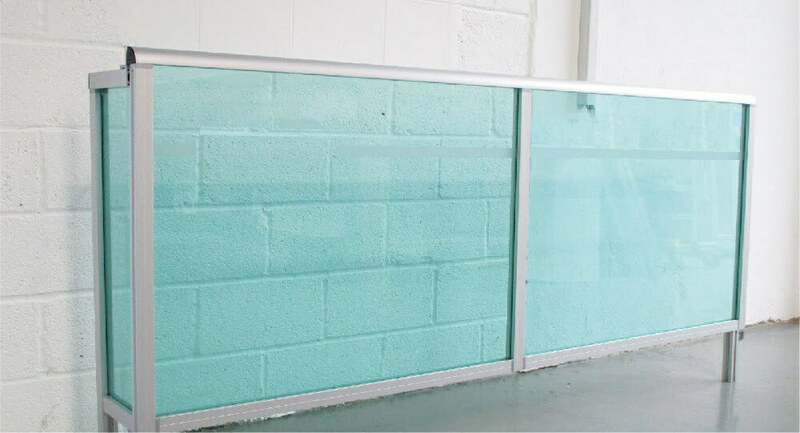 We also offer a range of colours including clear, translucent green, solid blue, bronze, white, black, and a variety of grey tones. To customise the sections even more, we can apply branding or signage such as your company logo or the name of the area you are segmenting. Want to speak to someone about your Partitions?